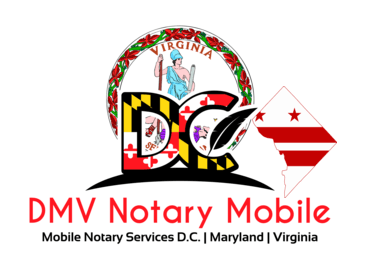 When you work with DMV Notary Mobile, you get hassle-free traveling notary support with complete flexibility. You choose the level of service you need, without worrying about having to travel to a notary or pay to have a notary employed on staff. That means we’ll be there supporting your company during your busy times, but you won’t be paying for services when you don’t need them. We travel and provide service throughout Washington D.C. Maryland and Virginia. Best of all, you name the time. Unlike the typical notary public, we are a notary that comes to you after hours, on the weekends, and anytime in between. Use our online form to schedule the services you need where you need them, and we'll travel to you at your demand, 24/7. Whether you are a title company that requires a mobile notary signing agent on hand to assist with end-of-the-month in-house closings or need to get documents signed and notarized in the field or at a remote location, we can accommodate any size request and handle all the documentation for you. We’re the traveling notary public that works with your schedule, no matter if you need our services during working hours, after hours, early morning or on the weekend. You no longer need to delay important transactions while asking the question, "is there a notary near me?" when you have DMV Notary Mobile working for you to handle essential signatures.